Seafaring is a term containing multiple dimensions of this profession, but essentially - it stands for a deep relationship a man has with a sea. For people of our region, this term defines in a best possible way the glorious tradition of our ancestors we are all extremely proud of. For centuries, our ancestors sailed the seas, bringing to our country pieces of different cultures and customs, influencing so the formation of our versatile cultural being. The pledge they have left us are good reputation of Montenegrin seaman’s skills, open spirit and exciting experiences that are woven into the very core of our mentality. Throughout its entire history, the maritime has remained a demanding and very honorable profession from which numerous families in Montenegro lived, and still are living. Although our seaman still holds an excellent reputation throughout the whole world, the respect he used to enjoy in Montenegro today is disrupted - mainly due to the general decline of interest in traditional values, but also thanks to leading institutions’ lack of support towards our efforts to improve the quality of working conditions and competitiveness in the maritime market. The experience that we, as excellent seamen, build on the sea from generation to generation, has sharpened our instinct that is helping us to overcome even the biggest challenges. In this current moment in which we are undoubtedly left to themselves, that very instincts suggest us that our "ship" requires further directing towards the general interest. 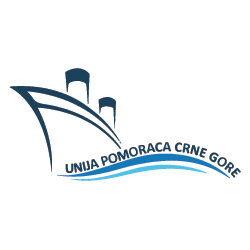 Therefore, we decided that the newly established Union of Seamen Montenegro is to involve in the improvement of the overall system related to maritime and create a positive influence on all issues that concern the seaman. In addition, through the work of associations we will make the opportunity to finally rise our loud thoughts above the ship's lounges, coffee bars, friendly and family gatherings. After several months of intensive communication, while consulting related associations and exchanging experiences and opinions - we have created a model of the Union that would take action in many fields, allowing seamen to fight in unison for better working and living conditions - accordingly to the importance that seamanship holds in the entire society (in economic, intellectual, cultural and any other way). The very character of Union best reflects in our intention to launch civil initiatives, humanitarian actions and donations to institutions and projects of public interest, as well as to vulnerable individuals. UNION of SEAMAN, ME as a non-governmental, voluntary and not-for-profit association (that does not carry out any economic activity), is formed to be non-elitist organization for the gathering of honorable seamen around the common goals. A condition for membership is an active seafarer status with the possession of the Montenegrin citizenship or Montenegrin Seaman's book / authorization, regardless of gender, age, rank and type of ship on which sails the seaman who does not abuse the maritime profession in dishonest purposes.